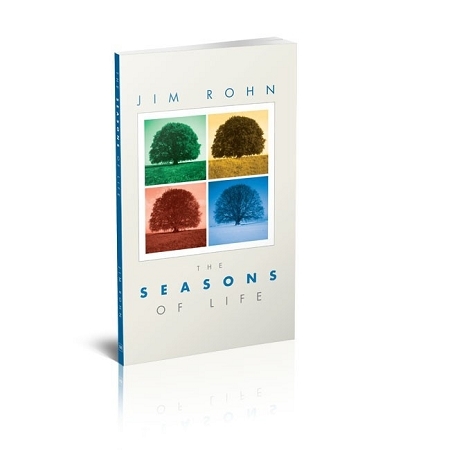 In this book, Jim show's the parallels between life and the changing seasons. To realize that the seasons will change without fail and what we can do to utilize each season to get the greatest rewards. It is based on the parable of the sower and the reaper. What to do in one season to ensure success in another season. "Great for those who are going through difficult times personally or financially, because it helps them see that this "winter" in their life will eventually give way to ""spring." A book of ideas and observations that attempts to place life, its events, purpose, opportunities and challenges into perspective. As usual, this is great food for thought. This material is making a significant difference in my life. I read a book recommended by Jim Rohn while baby-sitting some computer systems. I worked from 8 PM until 5 AM and I was amazed how much I was able to absorb while working all night. I think it is going to be a great year and I feel that I am already ahead for the year. I love the phrase "the book you don't read won't help you." Boy, did that wake me up! Many thanks for the truly inspirational material on "Cultivating an Unshakable Character" and the "Seasons of Life." -- C. Naseer Ahmad, Azizia International Inc.